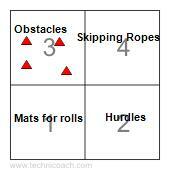 Create an agility circuit with tasks to be done at top speed in a competition. 4 teams race over, under, thru, around, skip, throw, spin to challenge their coordination, agility, balance, speed, power. This circuit works on the Skill Related Principles of Fitness. 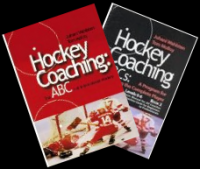 To be a good hockey player you also have to be a good athlete.